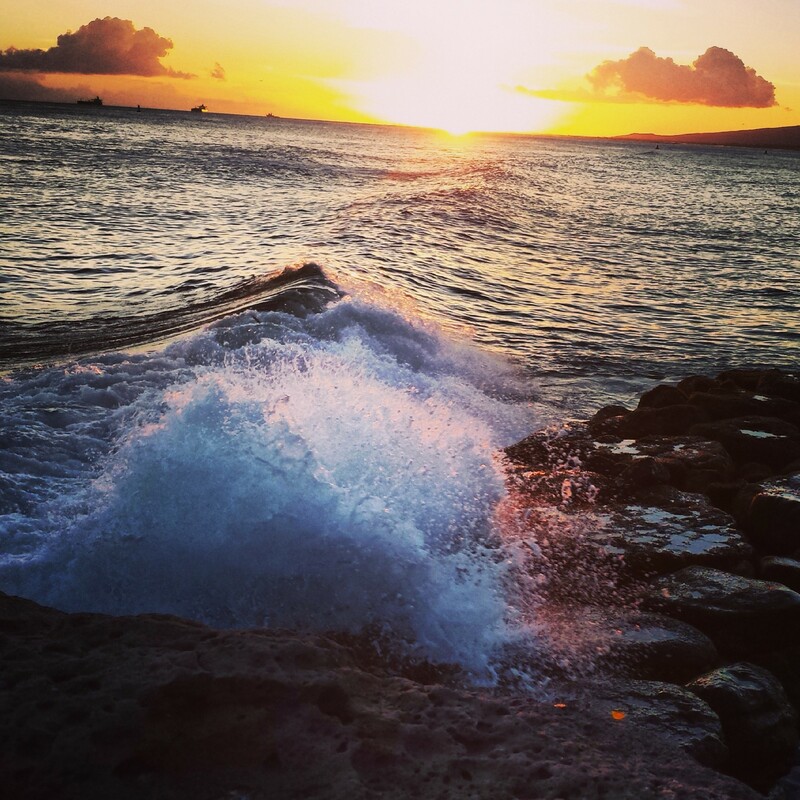 Oahu is a great island to visit! Sure you can relax on the beaches of Waikiki and drink Mai Tai’s, but there is also plenty to see! Here are some great things to do on the island of Oahu: You can take the bus, it’s cheap (only $2.50 one way) but rental cars in Hawaii are also cheap and much more convenient. I always recommend doing some research yourself, but here are some activities and tricks that kept Tommy and I loving Hawaii! 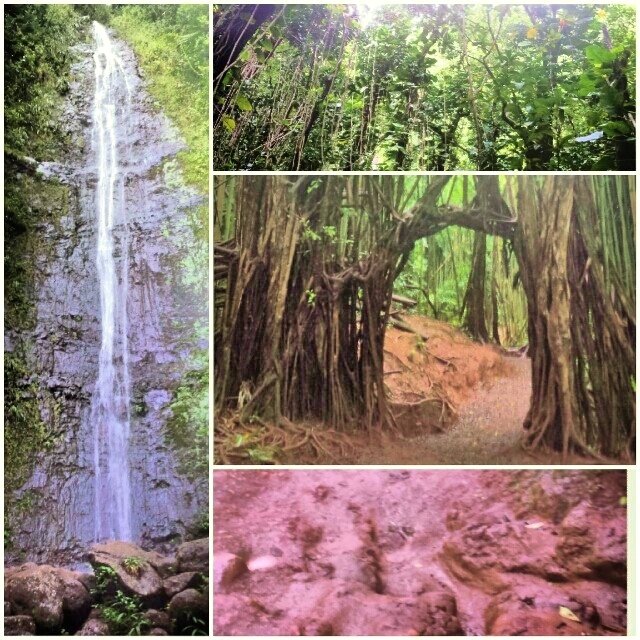 Crazy vines, smells of berries and ginger, and a cool waterfall at the end. This is a super easy hike, Tom and I did it in less than 40 min pictures and all. It was super muddy the day we went (it is a rainforest!) so wear good shoes. My Merrell Vibrams were pretty slippery. You do need to pay $5 to park in the lot. Don’t be worried if the guard isn’t there, you won’t get a ticket but he will make you pay on your way out! This is a very physically demanding time and takes a little bit of courage, especially if you don’t like heights. It is somewhat difficult to find. If you meet a local that is best because many have spent their childhoods running up these stairs, otherwise here is a review with some good directions. There is a guard who guards the stairs from 4am-4pm. We did an afternoon hike getting there, right when he was going off duty. Because he was about to leave he didn’t stop us. 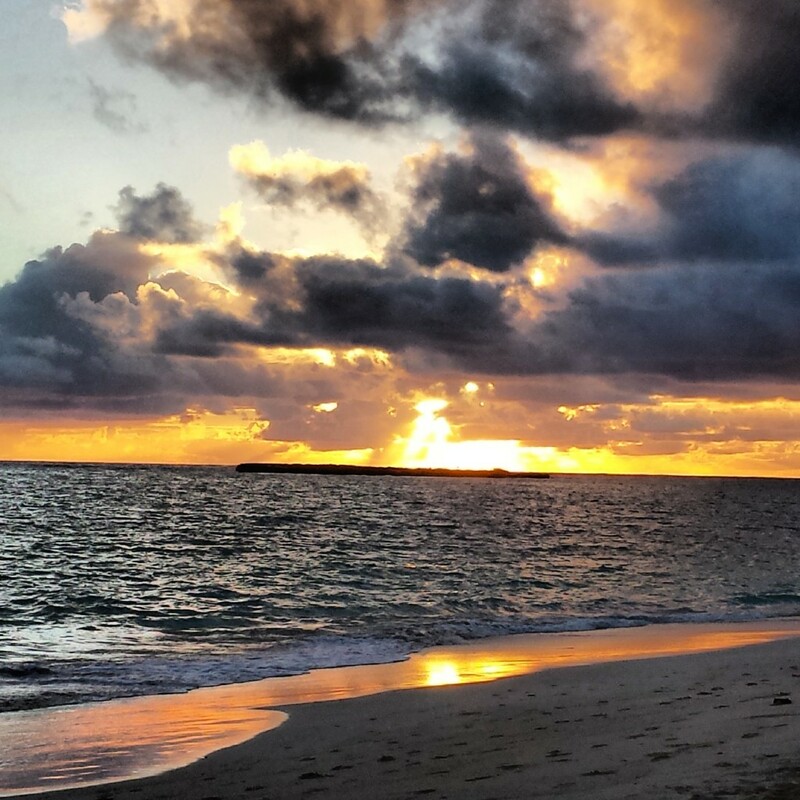 Many people like to start at 2 or 3am to catch the sunrise. I wouldn’t necessarily recommend this because the stairs were intense enough with daylight, but if you want to catch the sunrise make sure to bring a headlamp! Bring lifting or batting gloves for the way down, I got killer blisters on my hands. Bring water! 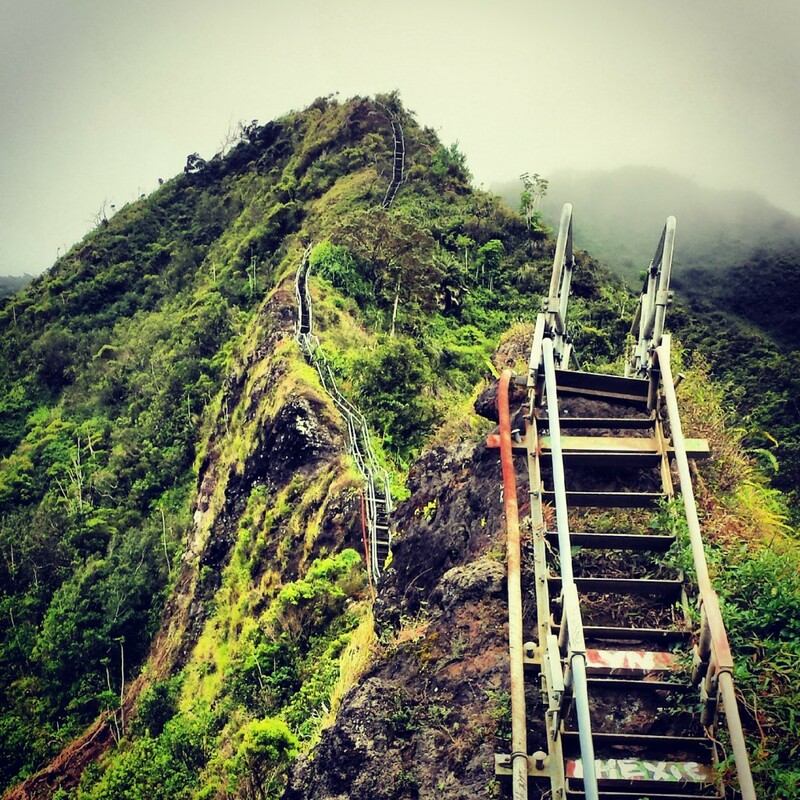 This is an intense hike, you’ll want it! Bring some food for the top. You might want to chill for a bit and take it in so pack a small picnic! Bring a jacket! You gain some serious elevation and it’s freezing on top!–Really I didn’t believe the local who told me! Bring an extra shirt for the way down. I was super sweaty and an extra shirt would have been nice! If you want to leave your mark, bring some spray paint or a permanent marker. 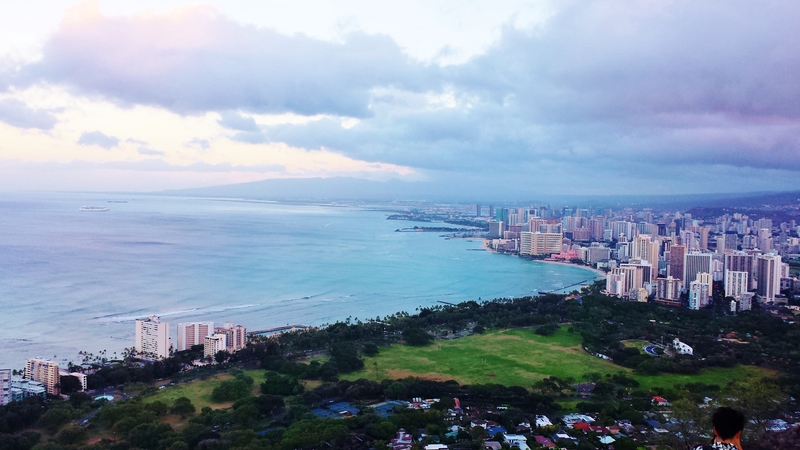 Get the bird’s eye view of Honolulu as well as explore an old WWII pillbox. The park is open from 6am-6pm, but 4:30 is the latest the park rangers will let you up to do the hike. You do have to pay $10 to park. You could avoid this by parking down the street from the entrance, but it adds at least a mile or two to your walk. I recommend doing this hike the first day you’re in town so you can use your jet lag! If you get there at 6am you should be able to catch a sunrise. Obviously this depends on the time of year, so check what time sunrise is when you are in town. When we did it mid September, sunrise was 6:36. Bus loads of tourists arrive around 6 too so being punctual will help you get a less crowded view. We didn’t beat the bus loads, but we did run past them and beat them to the top. I was able to take a couple panoramas, but by the time we were turning around the pill box was swarmed and it was hard to even get a view! There are a ton of beaches to visit. The best one probably being the one closest to your hotel or condo, but here are a couple others I thought were pretty cool. Chrystal Blue water during the day, but being the most Eastern part of the island, Kailua is a great beach to catch a sunrise! Kailua is also the windy side of the island. Wind surfing is huge from Kailua beach. There are vendors lined up and down the sand ready to teach you how to do this extreme sport! 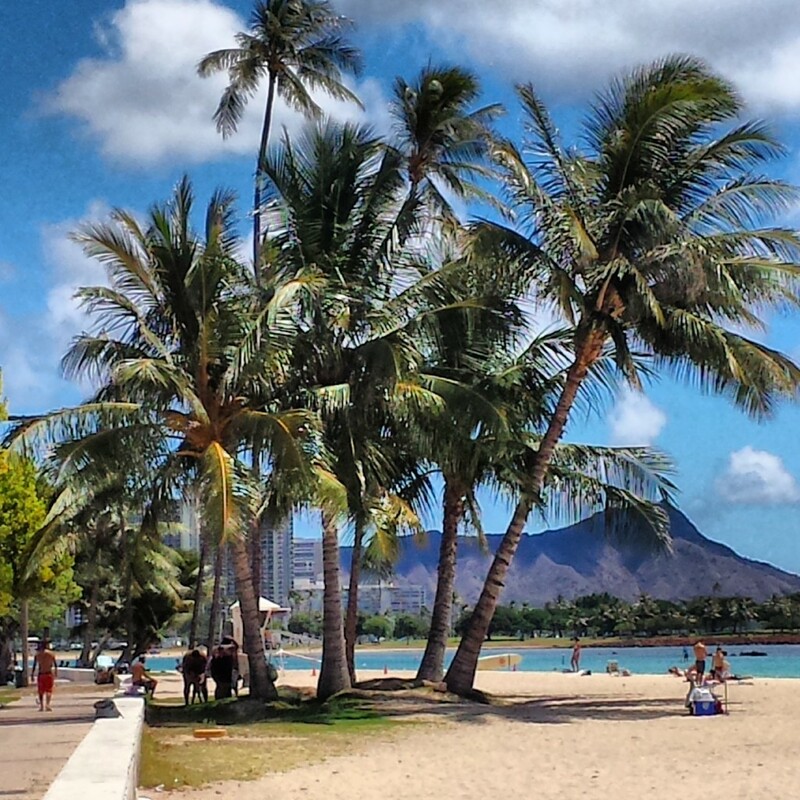 Waikiki is the most lively of the beaches! Best place for nightlife and people watching! Also a great place to rent paddle boards, boogie boards, and peddle boats to do water activities. Kuhio is at the far South end of Waikiki near Diamond Head. This beach is very family friendly with lots of room to BBQ and picnic. Parking can be difficult here so if you can avoid driving that is a plus! Kaka’ako was our favorite spot to watch the sunset. There is no sand here, so it isn’t a swimming beach but there is a lot to see. 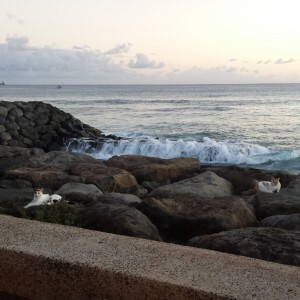 Waves breaking against the rock wall, palm tress lined up in perfect view of the sunset, and hundreds of stray cats that live near the beach make this an interesting location to visit. The North shore is where the locals go to surf. Known for big waves, this is the beach to come to if you want to see some surfing. It’s also a super chill laid back environment. 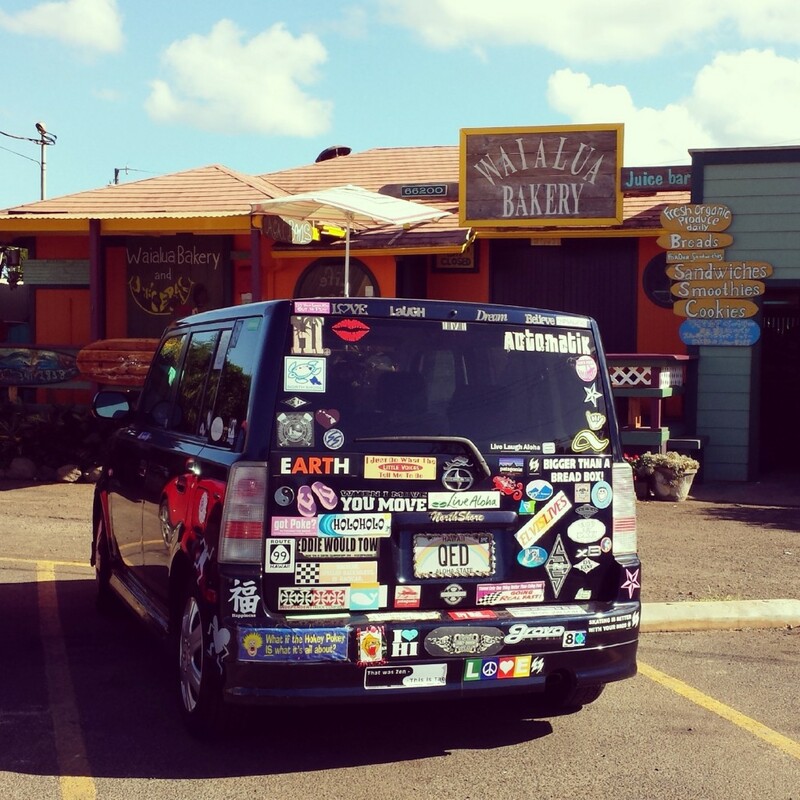 Hippies at heart definitely should make the trek over to the North Shore…You might not want to leave. You’re in Hawaii, of course the #1 thing to do is go to the beach! There is a beach for everything on this island. Whether you have family and you’re looking to find water sports, to finding a private cove to read a book and relax, to flirting with attractive tourists in bikini’s there is a beach for you. So make sure you take some time to hang on the beach. 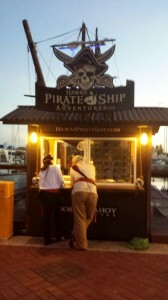 If you’re looking for a unique way to cruise the shores of Waikiki, check out the Hawaii Pirate Ship. You’ll feel like you stepped into the movie Pirates of the Caribbean. If you have the time and the motivation put in the effort to dress up! The Dole Pineapple Plantation is definitely a tourist trap, but it can be fun to stop at especially if you’re headed to the North Shore. We got through the Plantation without spending a dollar (except for the overly priced Pineapple we bought–Don’t fall for that trap, they are much cheaper at the grocery store! There is a train you can pay $10 to ride around the plantation as well as a yummy looking ice cream stand. Otherwise you can do what we did and just walk the grounds. 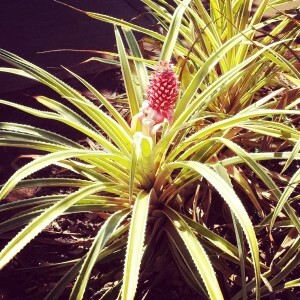 If you’ve never seen a pineapple plant, it can be pretty cool! You can’t go to Hawaii without visiting Pearl Harbor and seeing the Arizona Memorial. Despite the many Pearl Harbor tours you may see, Admission is free. The key though is to get there early when it opens so that you don’t have to stand in line and wait because it is first come first serve. You can’t make reservations. Ala Moana is the Mall on Oahu. It is definitely where anyone living on any of the Hawaiian Islands goes to shop, but it’s good a place for anyone looking to do some shopping while on vacation. You will pay higher prices at Ala Moana than you would on the mainland, but if shopping is your thing then you’ll want to check out Ala Moana. A freak accident called Hurricane Mikey made us miss you our Catamaran Cruise, but I’ve been told Na Hoku and Manu Kai are must dos! Just check out their reviews! For only $25-$30 you get to cruise around Waikiki as well as get unlimited drinks. There are obviously a ton of places to eat on Oahu, our list mostly includes the places with the best Happy Hours but I’ve added a couple other must hit locations as well. The Yardhouse not only has a bomb Happy Hour from 2pm-5:3pm Mon-Fri and 10:30-Close Sun-Wed, but it also has the best beer selection we were able to find in Hawaii! The Happy Hour here is awesome, because while you can get typical bar fare, you are also get healthy options such as sashimi and ahi poke allowing you to stick to your ratios as you travel. Word to the Wise: Careful with the yards of beer–They can creep up on you! Arguably the best Happy Hour on Oahu, Tom and I loved Doraku. You can get sushi, sashimi, chicken skewers, and 10mL of Sake all for $5 a peice! Happy Hour runs from 4pm-7pm and 10pm to close. There are two locations. The Waikiki location may be more convenient depending on where you stay, but the location on Kapiolani Blvd will treat your wallet better! One of my favorite Hawaiian treats especially following a workout or a swim at the beach was an Acai Bowl and the best one I found was at Blue Hawaii Lifestyles. It might be a dollar or 2 more expensive than other locations, but the taste is definitely worth it! 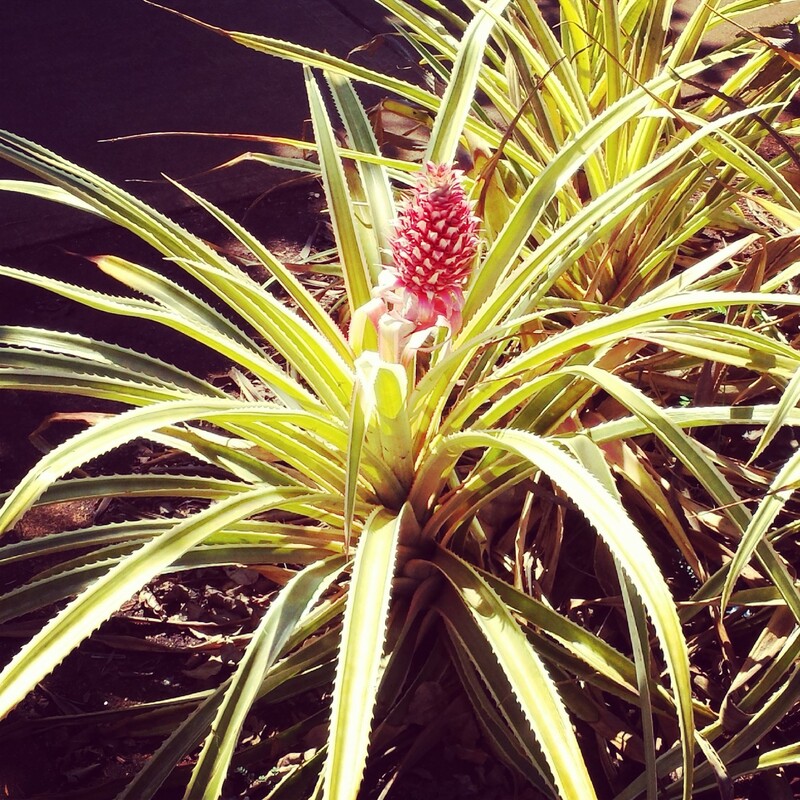 Blue Hawaii Lifestyles is located inside Ala Moana. As the locals say, it’s all about Duke’s on Sunday! I’m not sure if it’s worth checking out any other day of the week, but you can expect a party on Sunday afternoons. If you’re looking for fine dining, a local hot spot to check out is Roy’s. There are a couple locations so I would recommend leaving Waikiki and adventuring out to Hawaii Kai or Ko Olina. Expect to spend some money, but the food is tasty and the views are gorgeous! Benihana may not be unique to Hawaii, but it is a fun place to eat dinner and what better time to splurge than when on vacation! Benihana is a Hibachi style restaurant where the cooks cook your dinner in front of you at your table. Make sure to make reservations because Benihana is always packed! 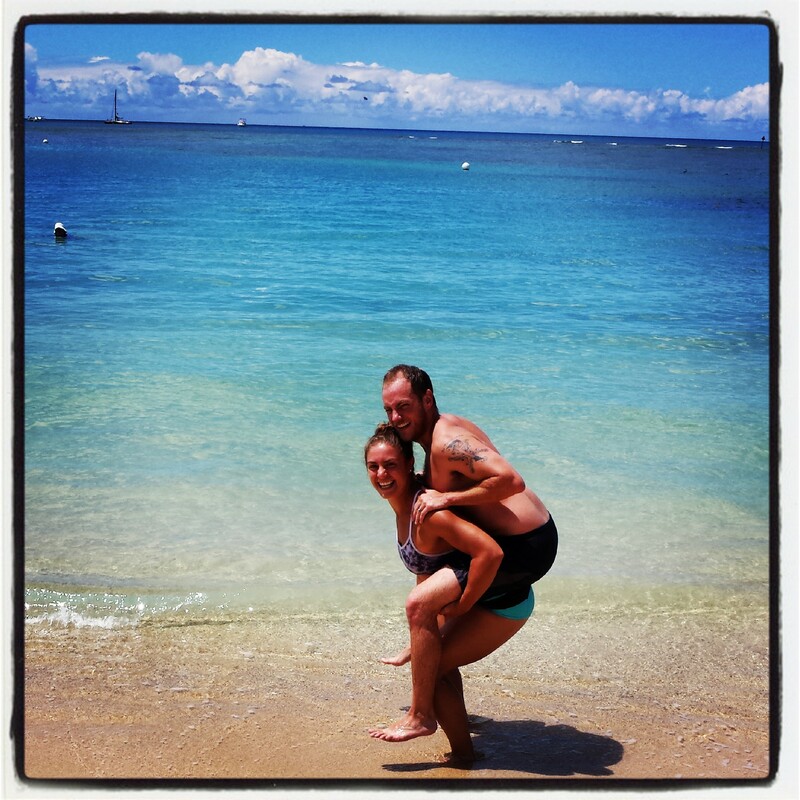 As a Personal Trainer/Yoga Instructor I have to give you the options for keeping up with your workouts while in Hawaii. If crossfit is your thing, definitely check out Crossfit Oahu, they’ve got a great gym with lots of classes, but also look into doing Ian’s Free Beach WOD on Monday, Wednesday, Friday mornings at 6, 7, and 8am. When we were there in Sept 2013 he was holding them in Ala Moana Beach Park. You may want to call ahead though to see if those details have changed. There are also quite a few Bikram Studios on Oahu, unfortunately they do charge even for Bikram Instructors. Bikram Kailua is the one studio that doesn’t charge visiting teachers, plus you get a lavender scented towel for your savasana. Bikram Honolulu is the most expensive. Hot Yoga Nimitz offers a discount for visiting Bikram instructors and if you can provide a local address then you can get a first timers intro deal. HYN also give lavender scented towels following class. I never made it over to the North Shore Studio, but there is one there as well. 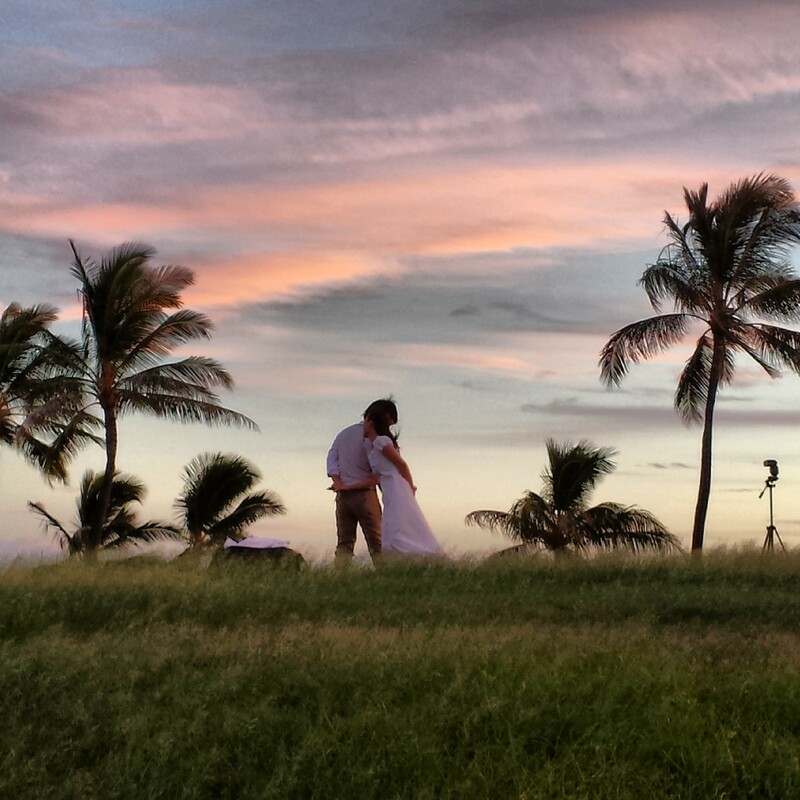 I hope these tips have helped you plan out your time on Oahu. If you have any other tips or suggestions please leave them below! I’d love to hear your tips and advice!